Tee Filter with 200 mesh screen filter is used for small irrigation and soaker hose systems. 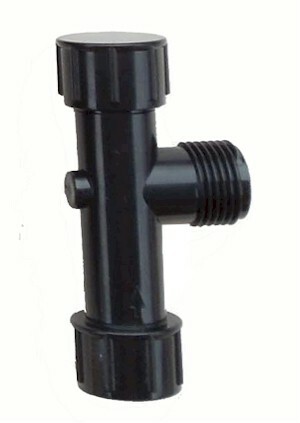 Tee Filter with 200 Mesh Stainless Steel with removable screen connects directly to the male hose threads on a faucet, garden hose or timer. The hose cap can be removed to access the stainless steel screen for cleaning.